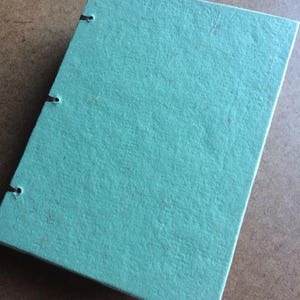 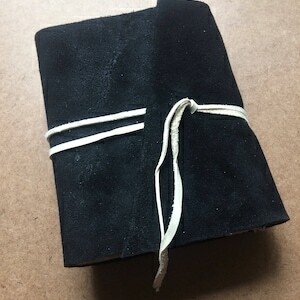 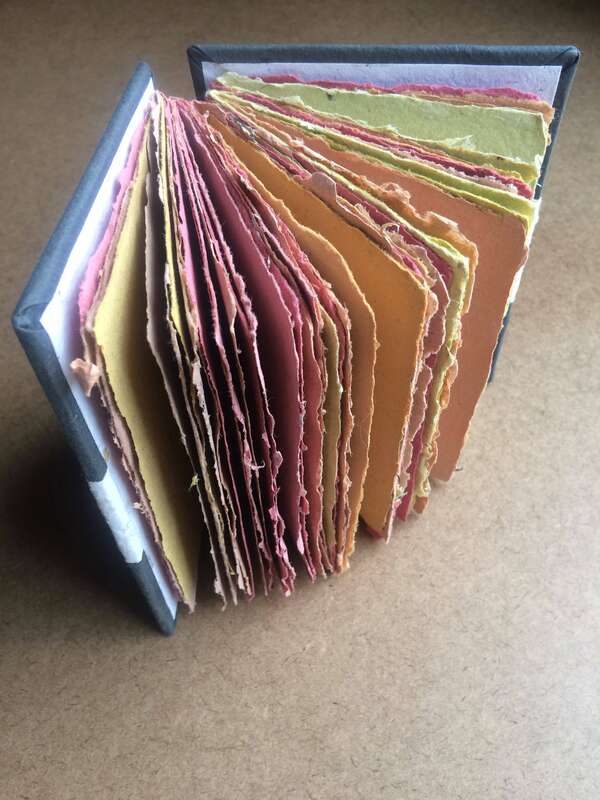 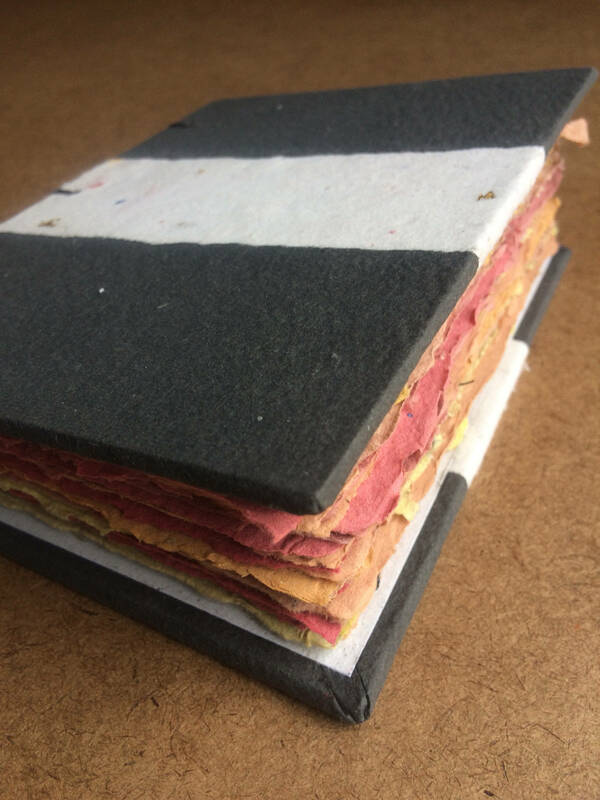 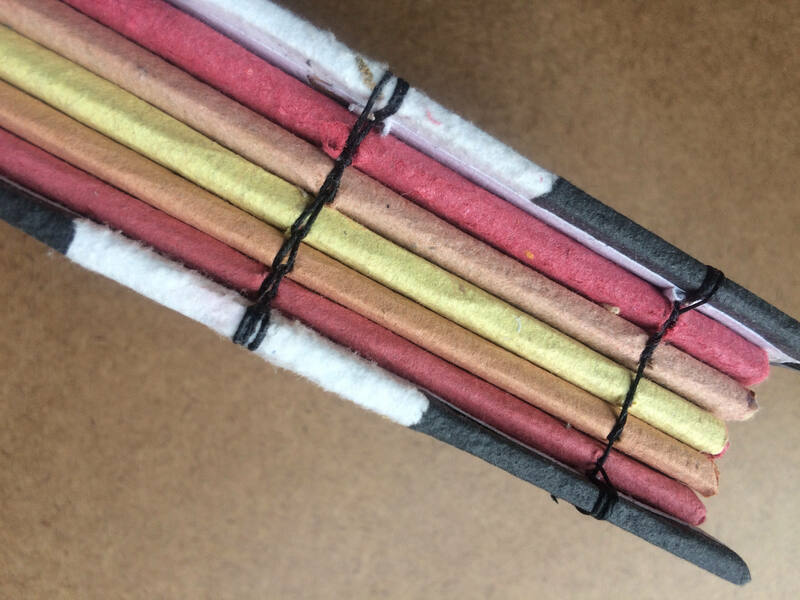 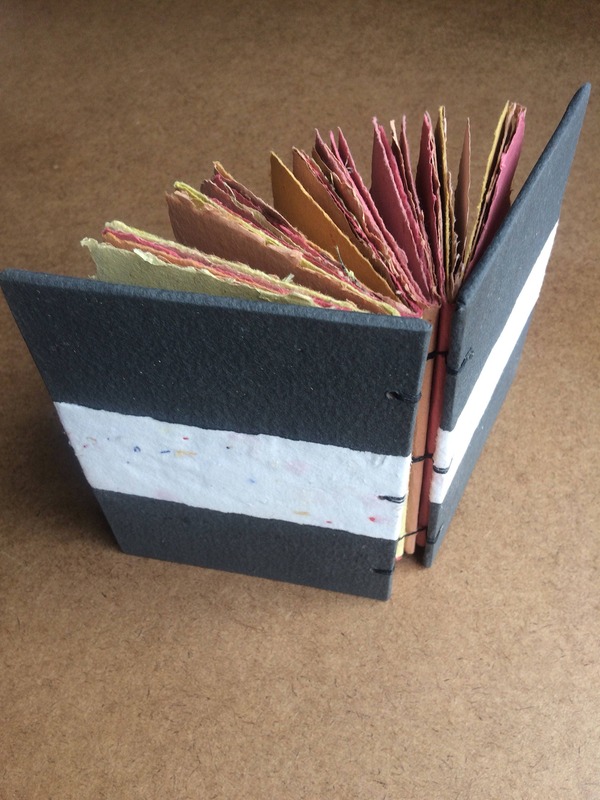 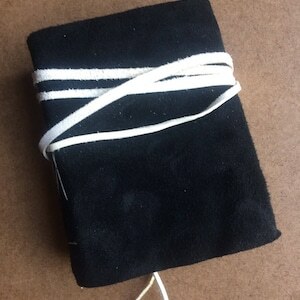 This listing is for a fiery handmade journal, made from charcoal black, ash white, and fiery oranges, yellows, and red handmade paper, sewn in the coptic style with black waxed linen thread, which is durable and strong. 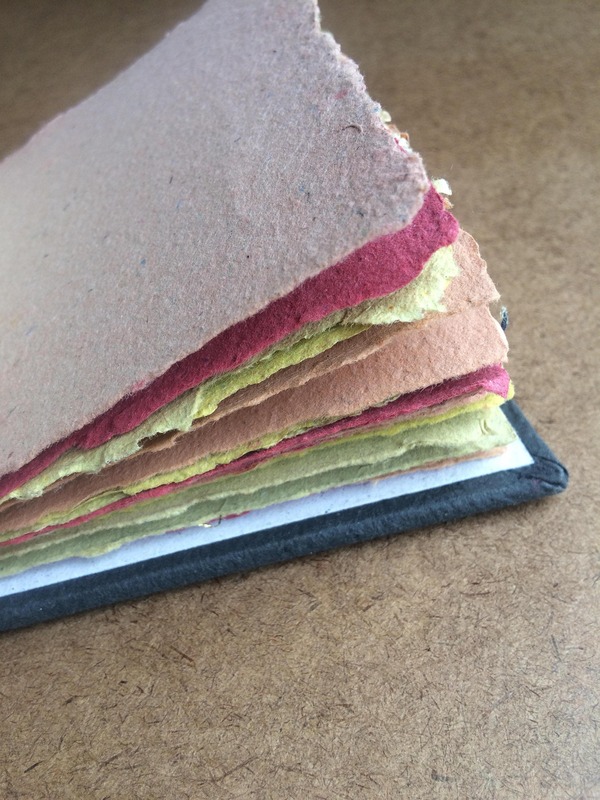 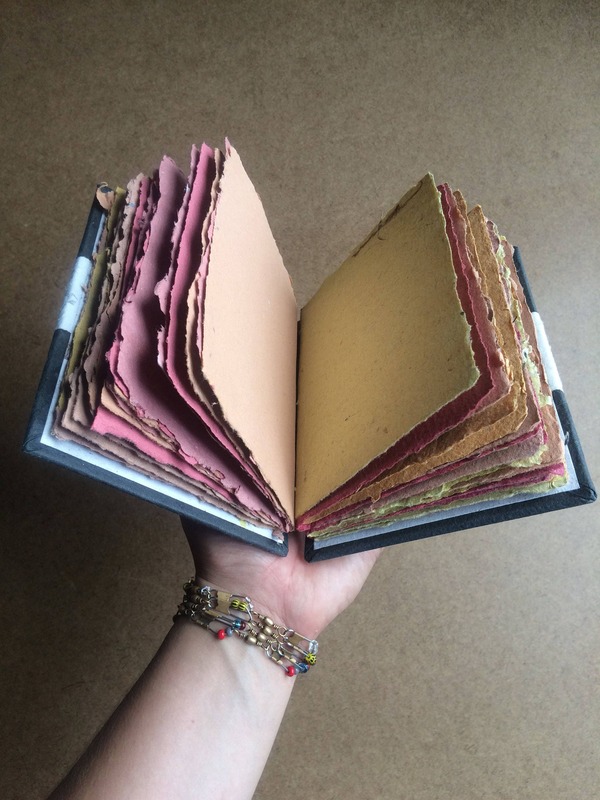 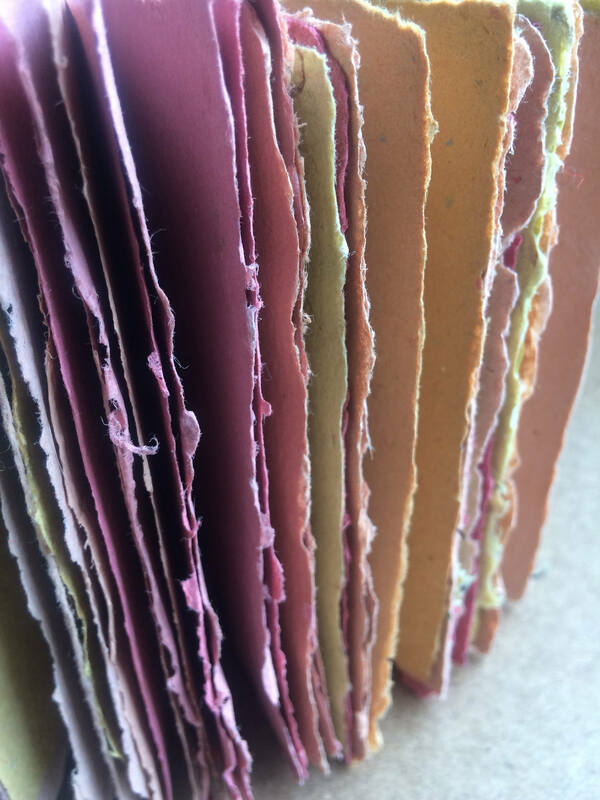 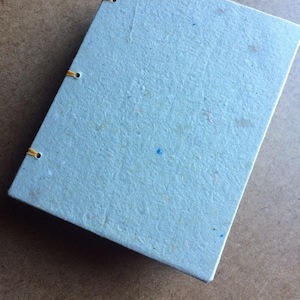 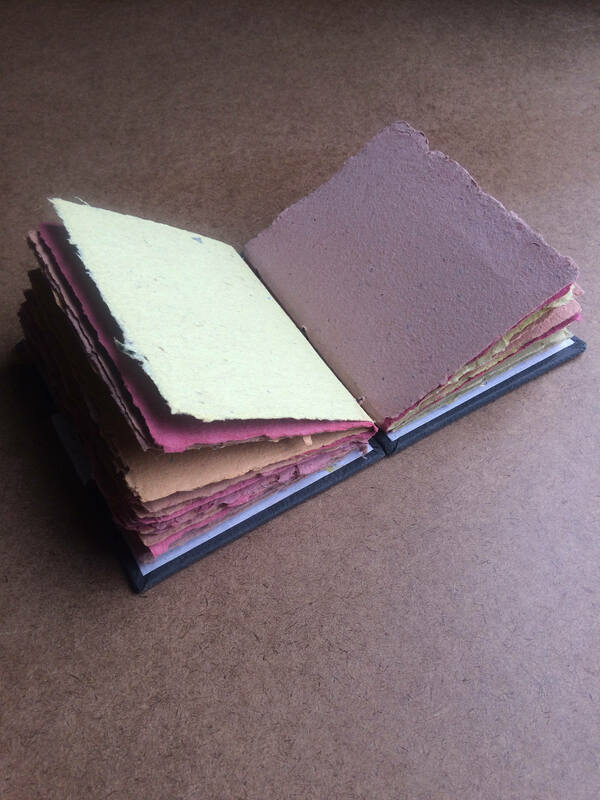 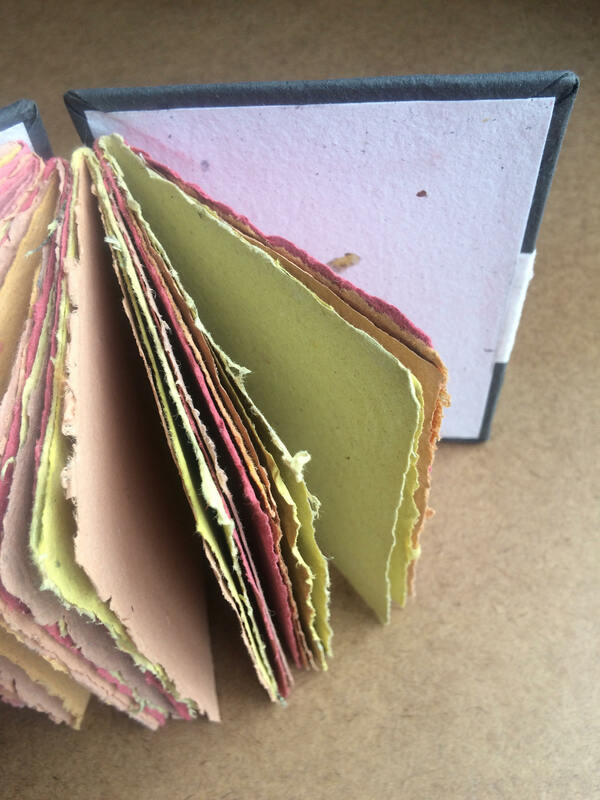 The pages are my high quality handmade paper, which is made in house in Columbus, Ohio from recycled materials. 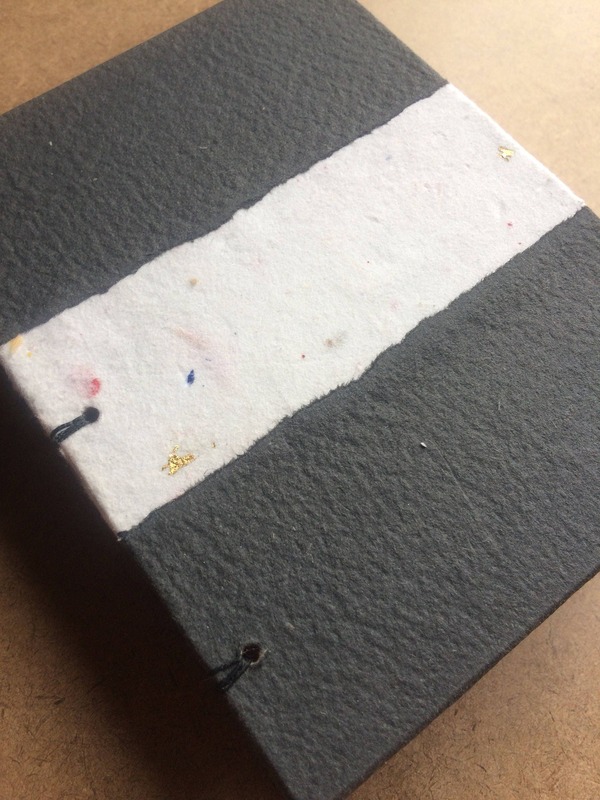 The coptic binding of this journal allows the book to lay completely flat when open, creating its own flat surface for use away from a desk.